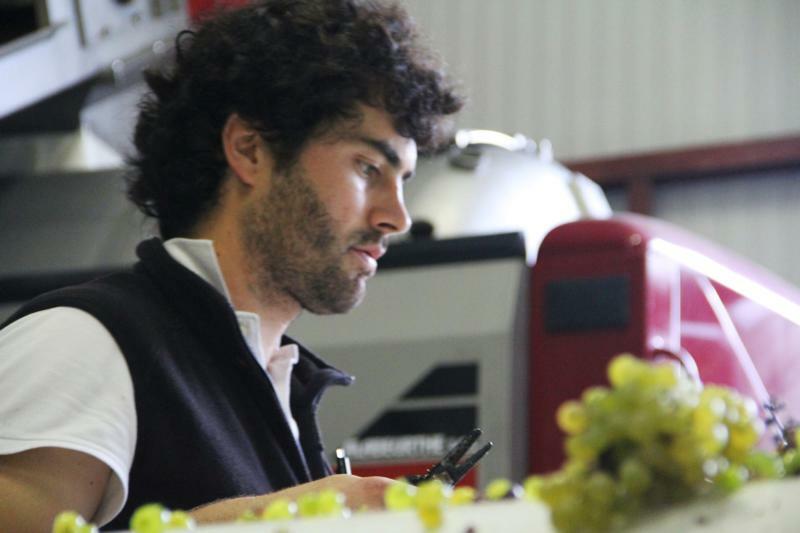 At barely 30 years old, Stéphane Riffault (Claude's son and now owner of the estate) is turning out Sancerre bottlings that are the envy of many producers twice his age. As David Schildknecht put it, "make no mistake: this address in the hamlet of Maison Salle (Sury-en-Vaux) is now one of the five or six most exciting estates in the Sancerre appellation." Given that Stephane's holdings represent 4 tenths of 1 percent of the appellation, this kid is clearly doing something right. Based in the village of Sury-en-Vaux, the domaine works 33 different parcels in 6 different lieu-dits spread across 4 villages. The 13.5 hectares of vines are plowed and no synthetic material is used (the property is in the process of being certified organic). Unlike most Sancerre producers, the entire harvest is carried out by hand and an extensive sorting takes place before the grapes are crushed. Stéphane's wife, Benedicte, leads the harvest team while Stéphane manages the sorting and press during harvest. Most of the domaine's holdings are planted on the soft limestone soil called Terres Blanches with some parcels on calliottes and silex. Small, judicious uses of oak help to add length to the already precise and vertical bottling. All of the parcels are vilified separately and with the exception of the rosé, all the wines are bottled unfiltered. Having studied and worked in Burgundy (and closely with Olivier Leflaive), it's easy to see the Burgundian influence in Stéphane's wines. The mastery of minerality standing shoulder–height with the wood is rarely duplicated in Sancerre. Regardless of the exposition of his parcels (many are south-facing), Riffault's wines are always crisp and high-cut with a jeweled sort of delineation that speaks to the precision and attention these wines get. These are not your daddy's (or his daddy's) Sancerres.